Taken in mid-summer. This is the end of the summer balcony detail series. 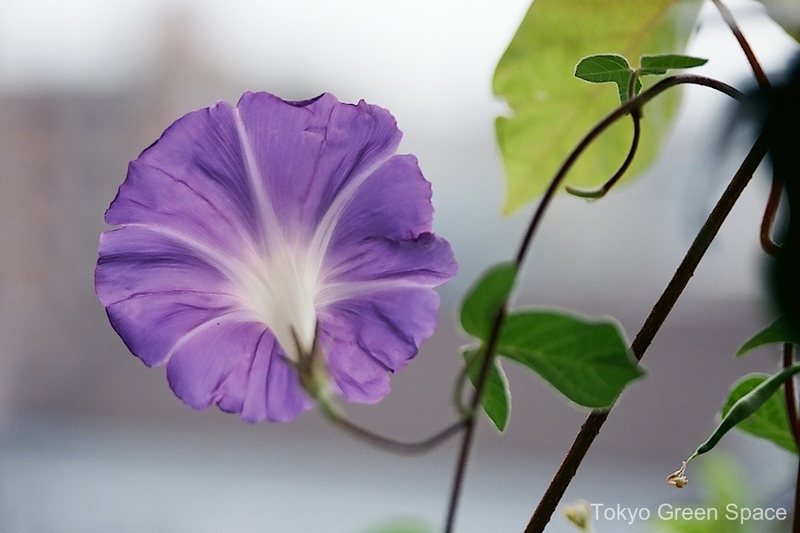 The Edo morning glory doesn’t have a long season like the perennial Okinawa version. You can see this bloom is already starting to wither. Viewed from Asakusa, not only is Sky Tree bigger, but you can see more details of the lighting scheme. From Nakano, you hardly notice the blue light, and the more subtle red trim. I also like how the willow references Tokyo’s Edo past, and Sky Tree, although newly built, appears to be a 1960s’ vision of the future. Omiya Hachiman shrine is near where my husband grew up in Suginami ward. 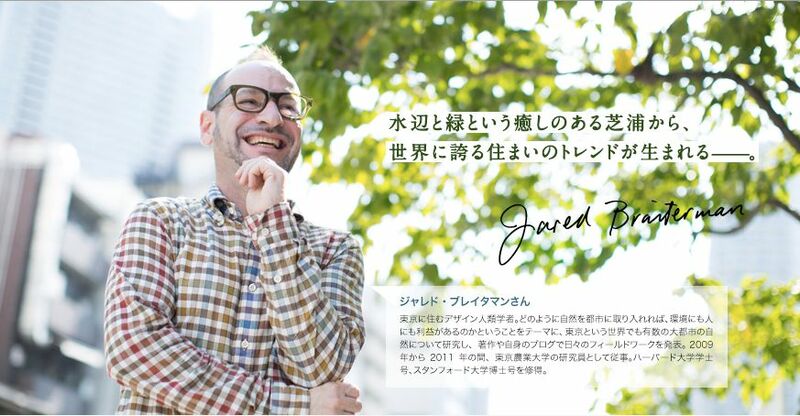 It’s also next to a beautiful green corridor that follows the Zenpukuji river. I love the elegant building, and all the decorations including the purple cloth with Edo crests, the red and white stripes, the rope and lightning bolts, and the big lanterns. On a wide boulevard normally devoted to multi-lane auto traffic, nothing could be more beautiful than the site of elegant ladies in matching kimonos and hats dancing in synchronized movements. 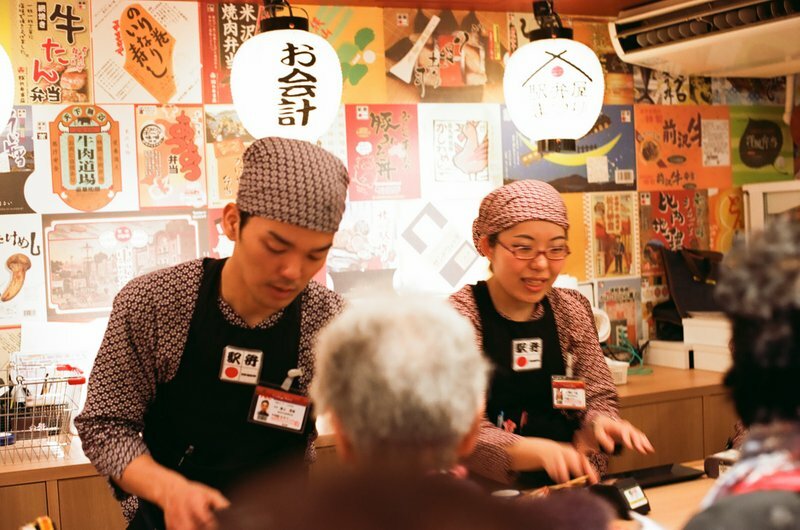 The summer and fall Shinto festivals transform business Tokyo into a series of village parties evoking an agrarian culture rarely sensed inside the megalopolis. 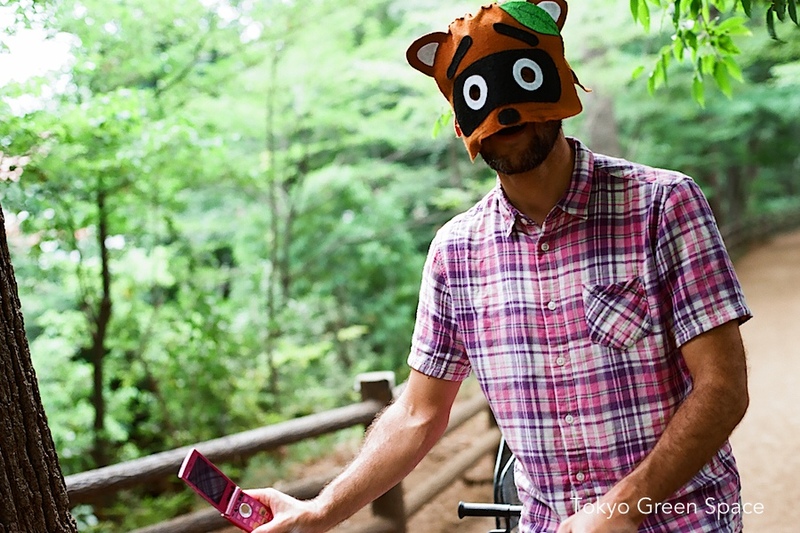 Below are photos from the Shiba matsuri. The sub-group near my friend Bas’ home displayed photos from the 1945 festival, just a month after the end of the war in which the entire neighborhood and much of Tokyo was burnt to the ground. 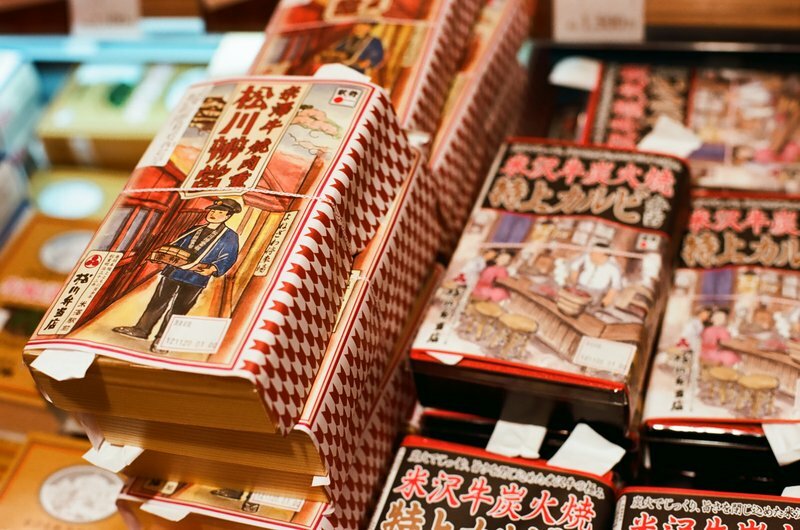 The last photo shows a man who is both telling stories and selling bananas, a continuation of an Edo-era festival character. In the photos you can see how on a special holiday, the streets, overpasses, convenience stores, and other mundane urban spaces are transformed into a very social and well dressed public environment. I love the dramatic clouds, and how Nakano Sakaue beams with light and activity. The building in the southwest corner of the main intersection has an awesome, transparent erector-set spine in the middle of two office columns. Ome Kaido is one of west Tokyo’s oldest and longest streets. In its current incarnation, it is six auto lanes wide and the fastest route between Shinjuku and Ogikubo. Underneath is the Marunouchi Metro line. 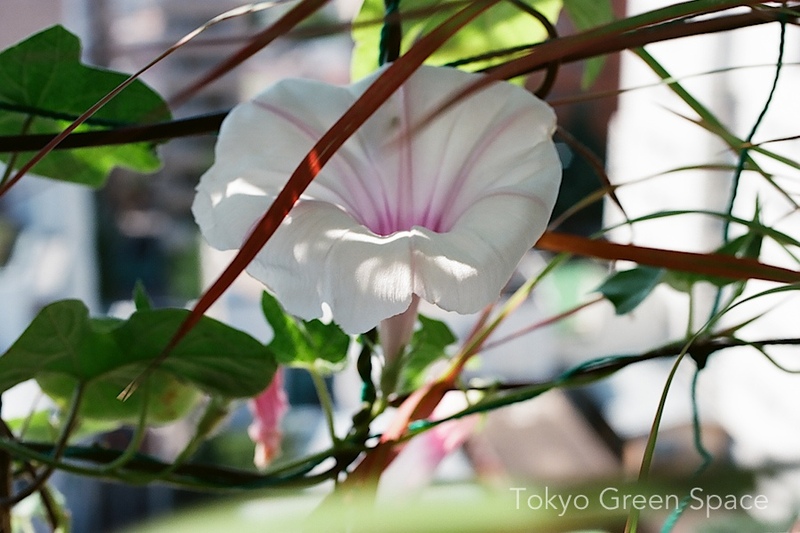 In mid-summer, the morning glory provides color, shade, and privacy on my one meter wide (3 feet) apartment balcony. The smaller jasmine leaves provide a nice contrast. Also on my green curtain are Edo morning glory (vs the Okinawa one above) and cucumber. Ome Kaido is a large boulevard in my neighborhood that dates to Edo times when this area was largely fields. I like how the ginko trees provide a unifying element to a heterogenous streetscape of abandoned post-war buildings mixed with newer commercial, residential and even light industrial buildings from every decade since. Directly across the street from this corner is a ten story office building. I noticed the roof-top sports facility years before I recognized the logo at the entrance that marks it as the headquarters of one of Japan’s leading adult content companies.